This is the best motor when endurance is your goal. For frames between 1kg and 3kg (quad) or up to 5kg (hexa, X8, octos). One of the reasons this motor is great for endurance is the weight. Without wires it weighs 75 grams. The pancake design ensures sufficient torque to carry a lot of batteries, or fly insane speeds and face-melting climbouts. After all, performance should not be sacrificed too much for longer flight times. 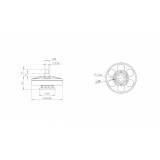 The propeller mount is self-tightening, compatible with all of the common carbon propellers. This makes it convenient to remove, and re-attach the propellers while travelling between locations. 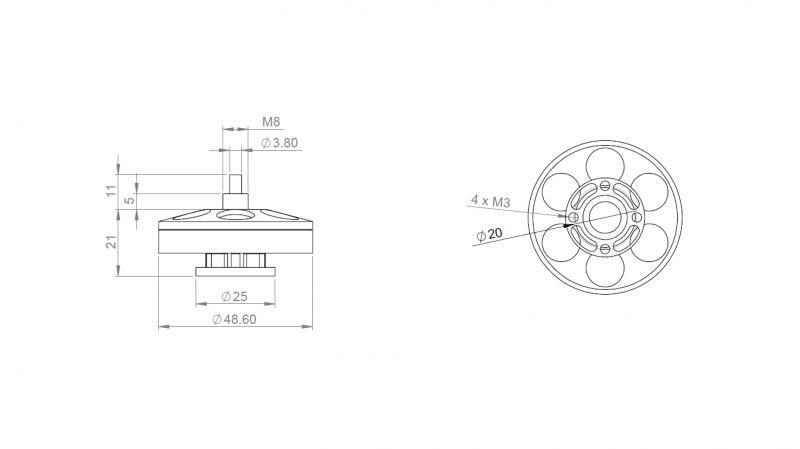 The motor was developed by TBS in cooperation with T-Motors. 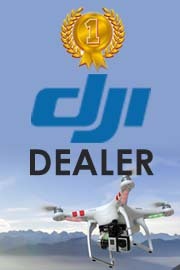 For a TBS DISCOVERY (PRO), we recommend 15 inch props (15x5 or 15x6.5) and 6S batteries on AerialMob arms. A 4000mAh 6S battery that fits in the trunk can keep you aloft for up to 25 minutes. With a second battery strapped to the bottom, you can go out up to 12km (and back), or cruise for up to 40 minutes. With GoPro gimbal and FPV equipment on board, obviously. 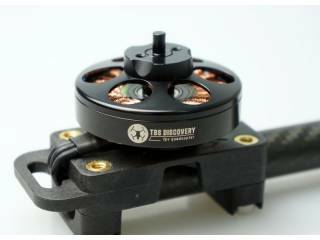 The motor is not limited to TBS DISCOVERY frames, obviously. We have extensively tested it on other quads and hex frames, where we have seen significant endurance gains also, e.g. the Tarot 650 frame. TBS carries two brands of carbon propellers. We have the T-Motor 15x5 Carbon Fiber propellers which provide the maximum efficiency and stiffness. The RCTimer 15x6.5 Carbon Fiber propellers are for the budget-minded, or prop-slinging pilot. Overall this motor will change your 650 or smaller multi-rotor into a stable endurance platform. It is the perfect match for any TBS DISCOVERY flight time upgrades, be it with AerialMob arms or extended aluminum arms.